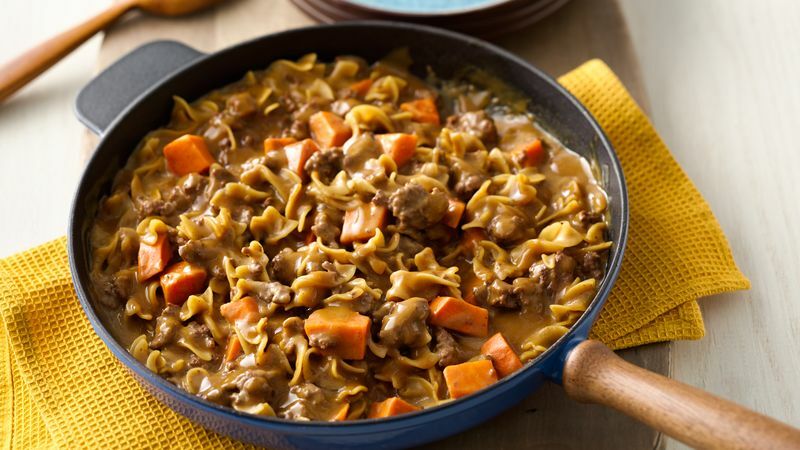 Stir in hot water, milk, sweet potato, uncooked pasta and sauce mix (from Hamburger Helper box). Heat to boiling, stirring occasionally. For additional veggie flavor, add in some frozen peas before covering the skillet.